The Physics & Astronomy Department hosts a variety of academic and social events year-round. Academic functions include workshops, seminars, and colloquia aimed at advancing physics knowledge within the university and Lincoln communities. 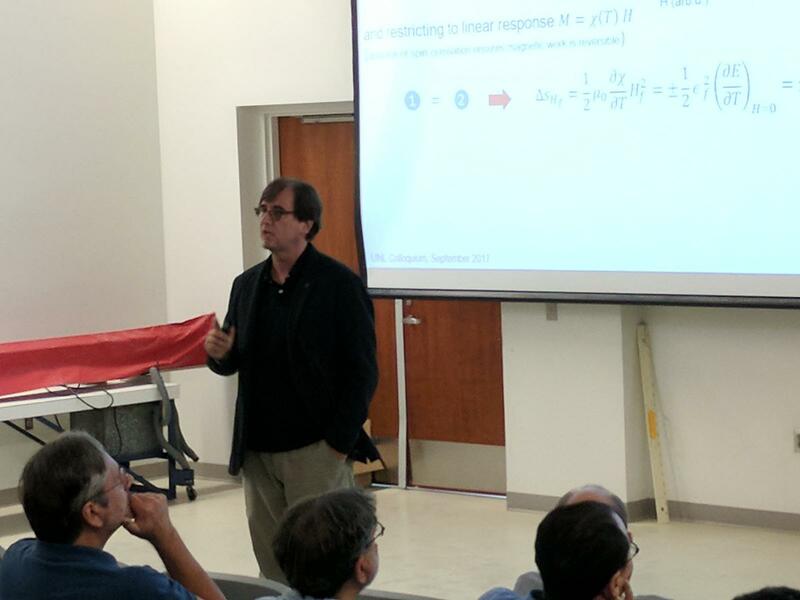 Two lecture series, the Physics Department Colloquia and AMOP Seminars are delivered on novel topics of physics research. Annual events such as the Jerry E. Ruckman Public Lecture Series and the Conference for Undergraduate Women in Physical Sciences engage Lincoln-area teachers and students from around the nation. Socials include an ice cream social, fall picnic, holiday potluck, and spring recognition luncheon to celebrate recent graduates. The Society of Physics Students also hosts its own activities. Colloquia are presented in Jorgensen Hall, room 136, on Thursdays at 4 p.m. during fall and spring semesters. The WoPhyS conference is organized by Nebraska's Materials Research Science and Engineering Center MRSEC and by Nebraska-Kansas EPSCoR. Research active undergraduates in physical sciences are invited to attend this conference. If you are currently pursuing an undergraduate degree in physics, chemistry, engineering, astronomy, or related STEM disciplines, then this conference is for you! Seminars are presented in Jorgensen Hall, room 145, on Wednesdays at 3 p.m. during Fall and Spring semesters. For more activities, visit our Get Involved page.